C.C.C. was founded in Hong Kong in 1894, when Mr. W. D. Braidwood, the Headmaster of the Victoria English School, converted a turfed piece of ground in Bonham Road near Breezy Point into a cricket field. The game of Cricket was enthusiastically received both by the students and their parents. It was thought that the Cricket Club so formed should be dignified with a suitable name. Mr. Braidwood cast around for a good name and finally settled upon the name of the building which housed his school - Craigengower. 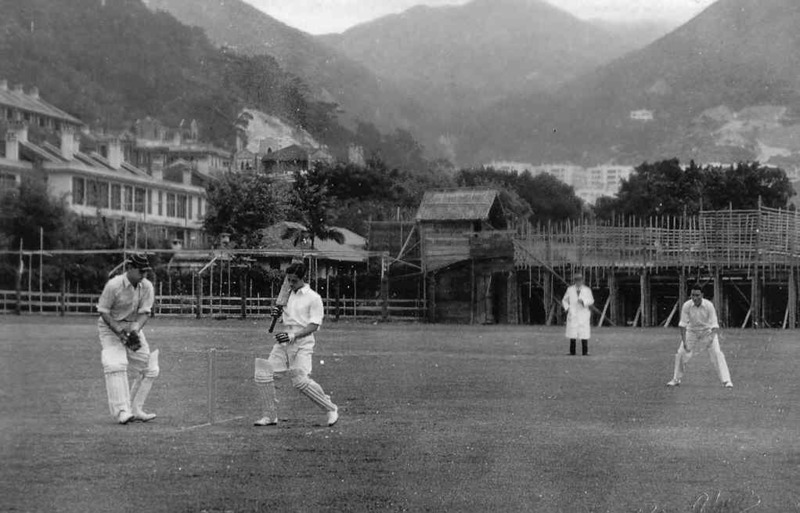 There was one drawback in the use of the cricket ground in Bonham Road. While hitting the ball over the boundary was an easy matter, recovering the ball was less straightforward. The land beyond the boundary was the site of an old cemetery. The students had to recover the balls from amongst skulls from damaged urns that scattered beyond the boundary. Naturally, the players did not particularly enjoy this task. So Mr. Braidwood looked around for another piece of land upon which cricket might be played. At this time, Happy Valley was a large area of open ground which was used for a variety of sporting activities, including the horse racing sport of the Royal Hong Kong Jockey Club. Mr. Braidwood selected an area in the north-east corner of Happy Valley for the Craigengower Cricket Club (C.C.C.). The first Club House was a small matshed used for changing and keeping gear. It was not until 1922 that a brick club house was built. At that time four clubs shared the ground north of Sports Road. We shared each other's ground for cricket during the cricket season when lawn bowling was stopped. 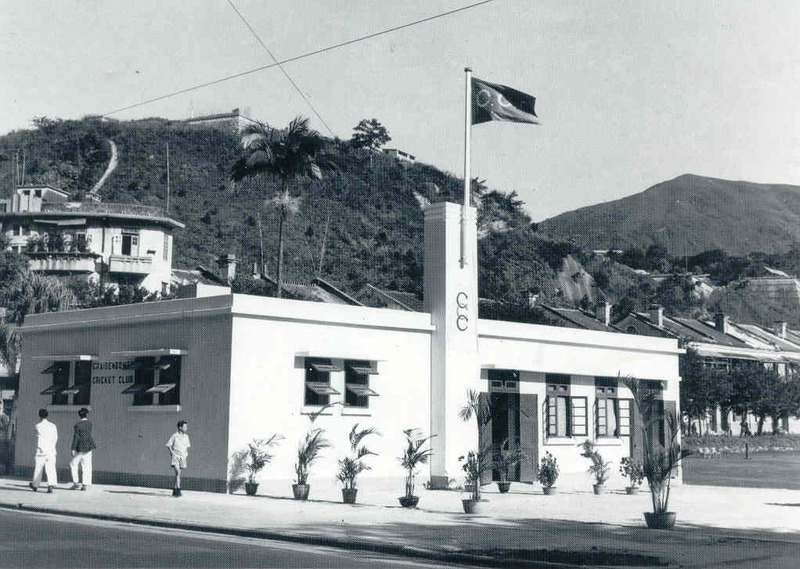 A Club House with a hall and bowling green next to the bar were eventually made possible by generous donations from Mr. B. W. Bradbury, local cricketers, and people from the Naval Dockyard and Taikoo Sugar Refinery - there were few Chinese members even in 1941 just before World War II. During the War, the Club House was bombed and eventually demolished by the Japanese who used the ground to shape granite blocks for a Memorial they built at Mount Nicholson. C.C.C. resumed the lease of its land two years after the War. Using some members' personal guarantees with the Hong Kong and Shanghai Bank, a bar / lounge and a small changing room were rebuilt. Perhaps, it is this sort of personal commitment that has helped to develop CCC's special spirit. The Club grew from strength to strength during the past years, from a membership of less than 200 in the old days to more than 2,600 families today; and from a bungalow - type clubhouse to the modern Club premises with 9 all weather flood-lit Tennis Courts, 2 very fine outdoor Bowling Greens, a high standard Badminton Hall, a Gymnasium, a 25-meter pool, a Children pool, a covered Bowling Green, 2 glass-back Squash Courts, 4 Changing Rooms, a Golf Driving Range, Covered & Outdoor Car Parks, Bars, Function Rooms and European & Chinese Dining Rooms. Upon opening of the new clubhouse, the Club will be able to provide more facilities of superior quality for the enjoyment of Members and their guests.